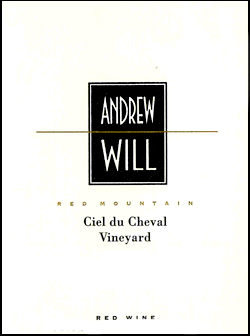 Andrew Will Winery was founded in 1989. 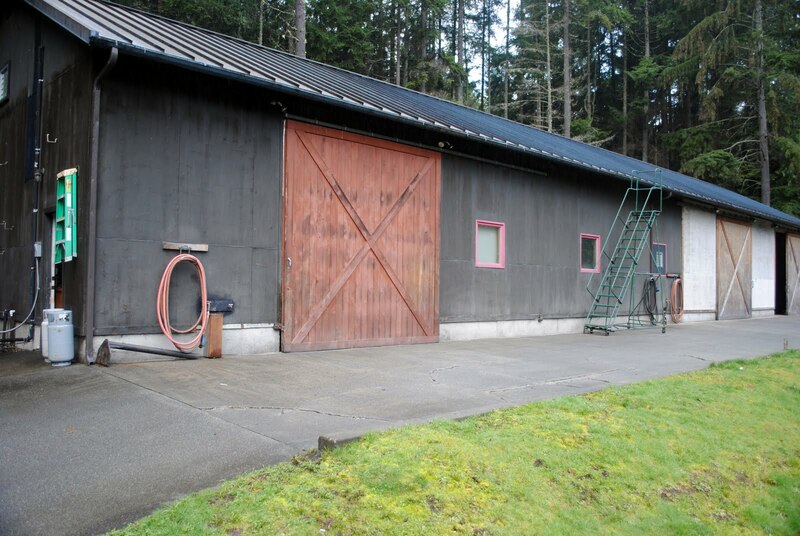 The winery, located on Vashon Island, was started by Chris Camarda and is named after Camarda’s nephew Andrew and son Will. 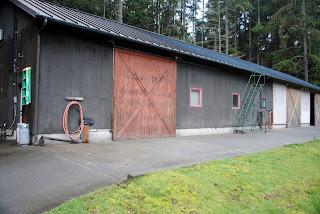 Andrew Will is one of several wineries located on Vashon Island. Other wineries on the island include Vashon Winery and Palouse Winery. 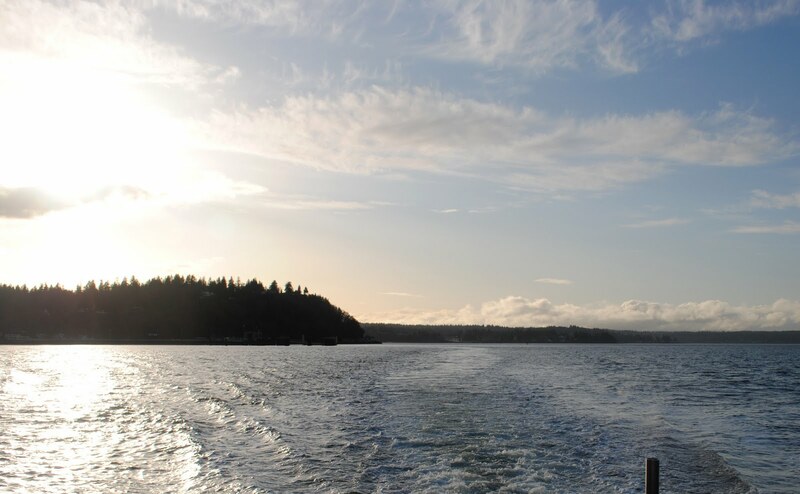 While physically close to Seattle, Vashon Island seems a world apart. One takes a short ferry ride from the city and feels transported to another land. The pace of life is different, the look of the area even. Vashon even has its own hum – literally. While there has been much speculation as to the source, my bet is on Andrew Will, which continues to hum along making some of Washington’s best wines. Andrew Will Winery – not open to the public – is picturesque and pastoral. One turns off the road and drives down a heavily forested dirt driveway. At the end are a series of winery buildings and a residence. Being a western Washington winery, as well as an island winery, creates some complications producing wine. Fruit is picked in eastern Washington vineyards and then trucked over Snoqualmie Pass to Seattle. The truck then takes the first ferry in the morning to the island whereupon crush begins. In creating the Andrew Will wines, whole berries are pumped into stainless steel fermentation tanks. To break up the cap that forms during fermentation, the winery uses a technology developed in the paint industry to mix paint. Blasts of gas are sent through rods at the bottom of the tank. The gas rises to the top and breaks up the cap. During fermentation, the temperature of the tanks is regulated using glycerol, giving a fine degree of control over the process. After primary fermentation, free run juice is pumped into barrels. The berries are then shoveled out of the fermentation tanks and pressed. The free run juice is generally used for the Andrew Will wines, press juice for the Cuvee Lucia wines (Lucia is Chris’ daughter). Next door to the production facility is a separate building used as a barrel room. The room is packed tight with barrels, approximately one-third new, from famed cooperages such as Taransaud. The wines are aged in oak for approximately twenty-one months before bottling. Given the tight space of the barrel room, Oldham jokes that the most important tool at the winery is the forklift. Outside the winery is a garden planted with fava beans, tomatoes, leeks, and other vegetables. Pomace from the winery is used as fertilizer. Plum, pear, cherry, and apple trees line the grounds. Oldham says they also grow Dahlias “as big as your head.” The grass outside the winery is littered with golf balls. A large fire pit is off to the side. “It’s a very Vashon thing to do to hang around fires,” Oldham says. ‘Bigger’, an appropriately named Greater Swiss Mountain Dog, patrols the grounds. Next to the garden is Camarda’s residence. The building, designed by Miller Hull, has the bold colors that Camarda’s wife, Annie, favored. Annie Camarda died of cancer in 2005. Similar colors appear on the Cuvee Lucia labels and brand the winery’s website. The house features an extensive underground cellar and is filled with artwork, much of it somewhat dark in nature. Oldham describes the 2009 vintage as “fast and furious” with many of the grapes coming in at the same time. The winery’s Two Blondes Vineyard, located in the Yakima Valley next to Sheridan Vineyard, is a bit cooler and gave somewhat of a reprieve from an otherwise grueling schedule. Oldham says that, like most, the winery has felt the effects of the economy. People are still buying, but not in the quantities they were previously with vintages taking a bit longer to sell out. Andrew Will has been responsive to the changing economic climate, creating a recently released ‘Black Label’ series. The Black Label wines come from declassified barrels and are offered at considerably lower price points than the other Andrew Will wines. Of note, the Black Label wines include Andrew Will’s first varietally labeled Merlot in ten years. Andrew Will makes 5,000 cases annually. Rating: ** (Exceptional) Nose is marked by light graphite, herbal tones, licorice, and light red fruit. Palate is beautifully refined with polished tannins and intensely focused fruit flavors. Give three to five years. 72% Cabernet Sauvignon, 10% Merlot, 15% Cabernet Franc, 3% Petit Verdot. Champoux Vineyard. Aged twenty-one months in French oak (35% new). 14.3% alcohol. 958 cases produced. Rating: */** (Excellent/Exceptional) Dark and brilliant in color. A fascinating nose with cherry cordial, licorice, and light barrel notes. On the taste, beautifully structured with polished tannins and elegant fruit flavors. Give two to three years. 52% Cabernet Franc, 21% Merlot, 19% Cabernet Sauvignon, 8% Petit Verdot. Champoux Vineyard. Aged twenty-one months in new French oak. 14.7% alcohol. 1,079 cases produced. Rating: * (Excellent) An outrageously intense nose with smoke, light game streaks, and blueberries. Packs a big punch on the palate with a compact ball of blue and black fruit. A rich, crazy big Syrah. 100% Syrah. Aged twelve months in 100% new French oak. Champoux and Ciel du Cheval Vineyards. 14.6% alcohol. 316 cases produced. Rating: * (Excellent) An alluring nose with floral aromas, licorice, light herbal notes, and chocolate. Opens up and expands on the palate with tightly wound red and black fruit flavors. 45% Cabernet Franc, 40% Merlot, and 15% Cabernet Sauvignon. Ciel du Cheval Vineyard. Aged twenty-one months in French oak (35% new). 1,408 cases produced. Rating: * (Excellent) Light herbal aromas along with blackberry bush, red fruit and a touch of spice. Seamlessly flows across the palate with soft tannins. A restrained wine that sails off into the distance on the finish. 40% Cabernet Sauvignon, 34% Cabernet Franc, 19% Merlot, and 7% Malbec. Two Blondes Vineyard. Aged twenty-one months in French oak (35% new). 14.4% alcohol. 1,513 cases produced. Rating: + (Good) An interesting, unique aroma profile with sour pickles, black tea, and brine. Taste is light on its feet with vibrant acidity. Tannins get a bit aggressive. 50% Ciel du Cheval Merlot, 25% Two Blondes Merlot, 15% Ciel du Cheval Cabernet Franc, 10% Two Blondes Cabernet Franc. 14% alcohol. Two Blondes wine provided as bottle sample. Roger, love those "must have" moments.